Lorena and her family keep alive the torch work tradition begun by her great-grandmother, Nina, masterfully handcrafting each of the beads for this stunning multi-color Murano glass heart necklace over a small flame. This one-of-a-kind necklace features a 2 in. glass heart pendant infused with multi-color glass swirls and copper crystals, suspended from multiple strands of tiny glass seed beads. 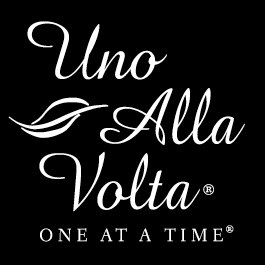 Each necklace is handcrafted exclusively for Uno Alla Volta, from the heart and hands of artisans. No two are exactly alike. Necklace measures 20.5 in. long with a lobster clasp. Gold-plated findings.